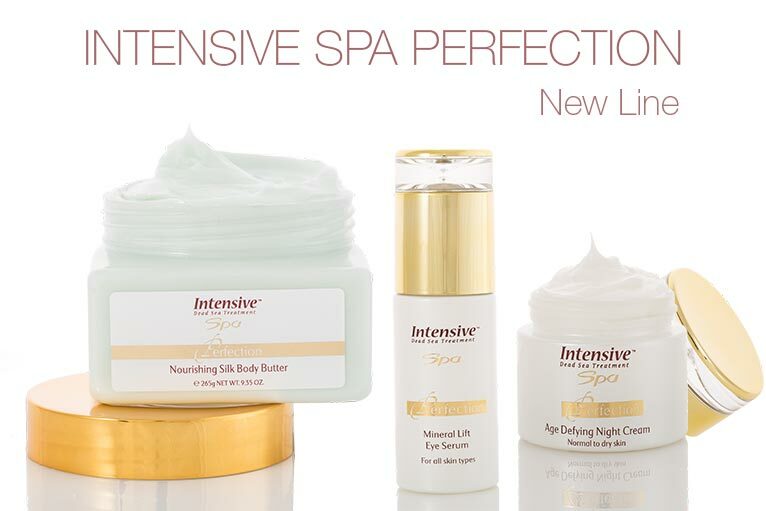 INTENSIVE SPA is a new, innovative and advanced Dead Sea skin-care range. Using the unique ingredients of the Dead Sea, Intensive Spa's mineral-based formulas are rich with natural plant extracts such as Aloe Vera, Jojoba, & Shea Butter. These ingredients have been carefully blended with natural oils - such as olive, avocado & lavender and then enriched with vitamins. No products have been tested on animals or contain animal derivatives. 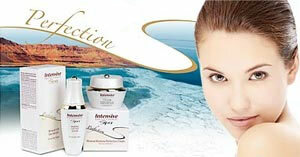 INTENSIVE SPA PERFECTION is an innovative skin-care cosmetics line that uses choice natural ingredients. The mud, salt & minerals of the Dead Sea have been renowned throughout time for their cosmetic & therapeutic properties and the 21 minerals, some of which are unique to the region form the basis of the Perfection formulas. We have taken these minerals and carefully blended them with natural plant extracts & essential oils known for their skin-conditioning, moisturizing and soothing qualities. Dead Sea Cosmetics Inc. a leader in the export, distribution and marketing of cosmetic products from the Dead Sea to companies and consumers all over the world, Our company is tailored to the specific needs of private store owners and multi-enterprise companies alike.